More than 1600 gardeners were asked to submit their favorite recipes to create this cookbook, featuring many of the fruits and vegetables grown in 13 Community Garden locations around Louisville. 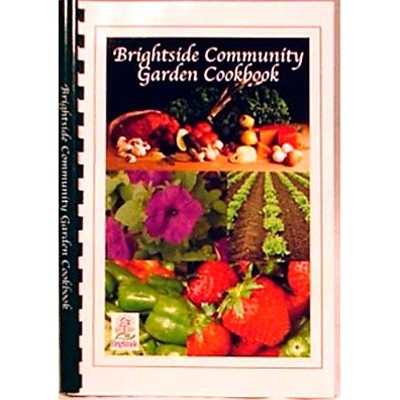 Cookbook sales benefit Brightside, a non-profit civic partnership devoted to keeping Louisville clean, green, and beautiful. The 98-page softcover book includes recipes for appetizers, beverages, soups, salads, vegetables, main dishes, breads, rolls and desserts.